Dutch Navy completed motor yacht SWIFT 141 in 1978. As such, she can be categorised as having been built in the Netherlands. SWIFT 141 is a yacht which had naval architecture and design created by Abu Dhabi Mar (Refit) and Abu Dhabi Mar . This superyacht SWIFT 141 is able to accommodate overnight the number of 80 aboard together with around 80 crewmembers. Ready for launch by 1978 the comparatively older interior design exhibits the established conceptualisation which are originating from Jacques Pierrejean (Refit) and the owner who commissioned the yacht. 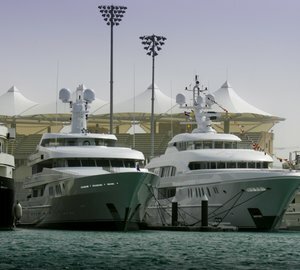 Abu Dhabi MAR the United Arab Emirates based shipyard who is a renowned name in the yacht industry is responsible for both SWIFT 135 and SWIFT 141. The megayacht SWIFT 141 has a steel hull acquired from the former Royal Dutch Navy Frigates. The yacht features a futuristic design with narrow beam and high propulsive power along with a remarkable interior and exterior designed by the famous Pierrejean Design Studio in Paris. Abu Dhabi Mar (Refit) was the naval architecture company involved in the formal vessel composition for SWIFT 141. Also the company Abu Dhabi Mar (Refit) expertly worked on this venture. Interior designer Jacques Pierrejean (Refit) was employed for the creative interior styling. In 1978 she was formally launched to triumph in Netherlands and following sea trials and final completion was afterwards passed on to the new owner. Dutch Navy completed their new build motor yacht in the Netherlands. The core hull was built out of steel. 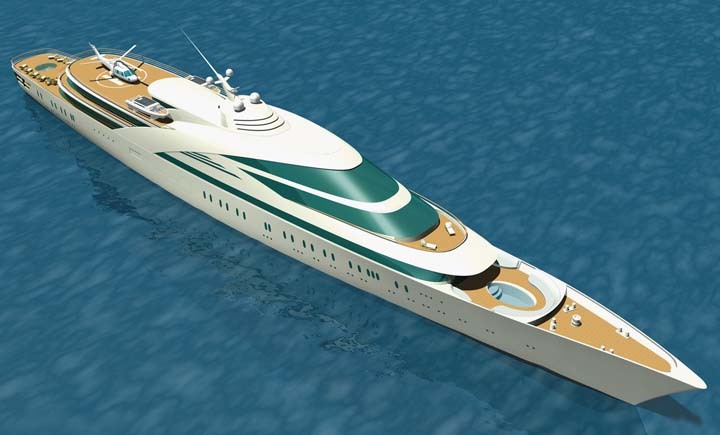 The motor yacht main superstructure is fabricated extensively with composite. With a width of 14.4 m / 47.24 feet SWIFT 141 has impressive size. She has a fairly deep draught of 4.3m (14.1ft). She had refit improvement and modification carried out by 2008. The TM3B & TYNE RM1C engine powering the yacht is built by ROLLS ROYCE. For propulsion SWIFT 141 has twin screw propellers (lips 5 blades). She is fitted with 2 engines. Offering volume for a limit of 80 yacht guests spending the night, the SWIFT 141 accommodates everyone in luxury. Normally the vessel carries approximately 80 capable crew members to run. 141 metres / 462.6 feet. The Model type is TM3B & TYNE RM1C gas turbine. Cruising at a speed of 24 nautical miles per hour. 5000 at a speed of 24 knots. As she does have a heli-pad vessel SWIFT 141 has excellent overall fast transport facility.